Alila Hotels has paired your extra day with a program designed to benefit their community, so you get up to three more days in paradise and an easy way to contribute to the local economy, aiding the sustainability of the culture and environment. The "Gift to Share" and "Season of Giving" programs offer a complimentary night for every three nights booked at varying Alila Villas, providing that the visitors make a donation of their choice to a community program, like construction of a library, re-introduction of traditional crafts, or introduction of community farming projects. "Gift to Share" takes place this July and the "Season of Giving" takes place during most of November 2010 through March 2011. Alila Hotels have promoted responsible tourism since its opening, and offer locally grown fruits and vegetables as well as locally produced soaps, shampoos, and other Spa Alila products. 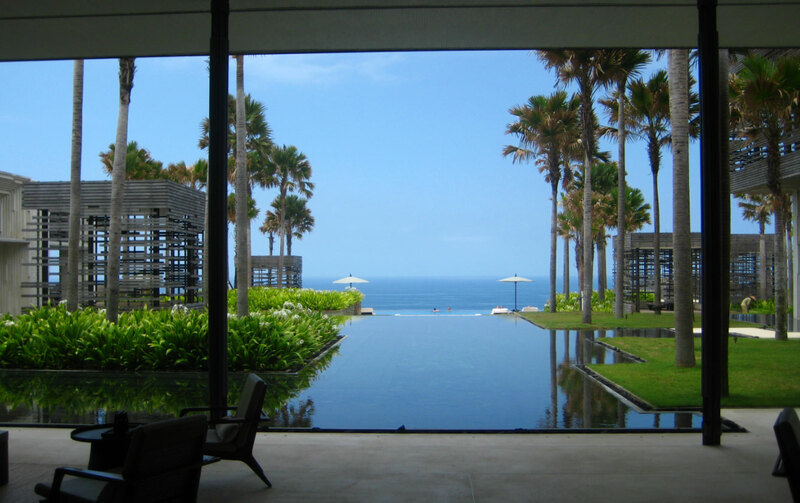 Additionally, Alila Villas Uluwatu was the first property in Asia to be accredited Green Globe 21 Design & Build Certification. "We count ourselves fortunate to be able to build such a beautiful property on the previously untouched Gaafu Alifu Atoll, and we seek to involve and give back as much as we possibly can to its equally lovely community," says Mr. Julian Moore, General Manager of the Alila Villas Hadahaa. These properties have been getting a lot of attention lately, including making the 2010 Condé Nast Hot List! They currently have ten locations across Thailand, India, and Indonesia and will be adding an eleventh in Laos this October. Our favorites are the Alila Jakarta, Manggis and Ubud.